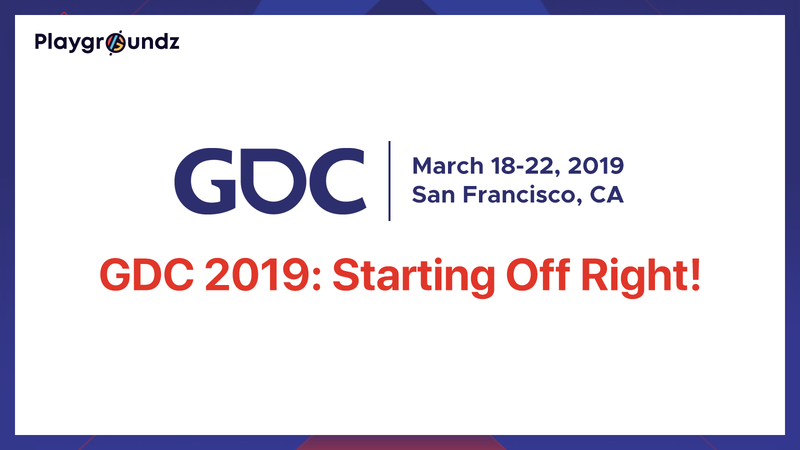 Game Developers Conference (GDC) has always been the time of year where companies in the games industry have the opportunity to start the year off right. Being the main focus of learning, networking and business meetings, there’s no surprise that the PM Studios team is in attendance and ready to share the latest Playgroundz news with the attendees at this years event. GDC showcases the latest game development tools and services from over 550 leading technology companies such as Amazon, Google, Intel, Nvidia, Oculus, Sony, and Unreal Engine. Attendees can use GDC Connect business matchmaking to set up meetings and explore new partnerships and business opportunities. On top of hosting two award ceremonies, GDC attendees can relax, play inventive and innovative games, and meet new people throughout the week at interactive spaces, themed areas for indie games, retro games, alternative controllers, and more. This year marks the debut of the GDC Film Festival, one of the first ever documentary & narrative film fests focused on the art and culture of video games. GDC 2019 runs from Monday, March 18 through Friday, March 22 in San Francisco, CA.